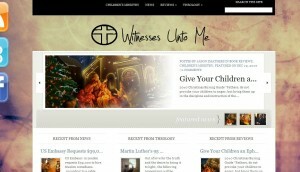 The Witnesses Unto Me website is about done with a redesign. The address has changed as well. The http://blog.witnessesuntome.com URL is no longer being used and the site lives on at http://www.witnessesuntome.com. You may have had some old posts show up in your news reader if you are subscribing by RSS. That was a one time issue from moving the RSS feed to the new server. If your are not yet subscribed, now is a good time to do that! You may notice some broken images while the redesign and migration are being completed, please be patient. Next post: What is Jihad?